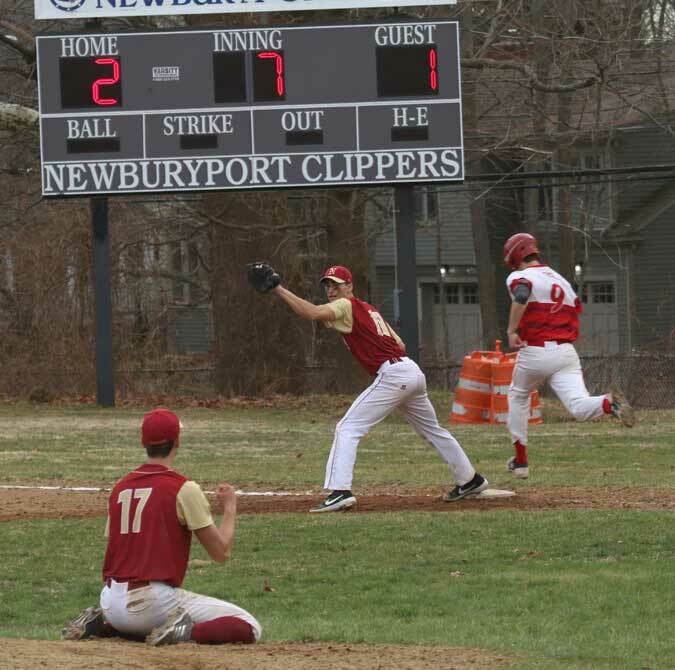 (Amesbury MA) “That game could have gone either way,” said Bedford coach Jason Talanien afterwards. 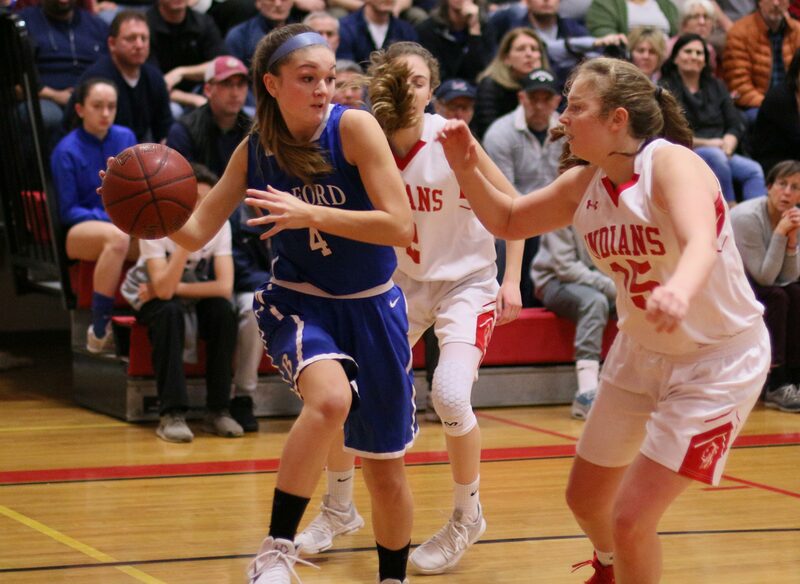 When Flannery O’Connor’s 3-point attempt missed in the closing seconds, the Bedford Buccaneers had an, 61-58, Division 3 North quarterfinals win over Amesbury on Thursday night. One thing that the team from the Dual County League did well was take the ball to the basket. 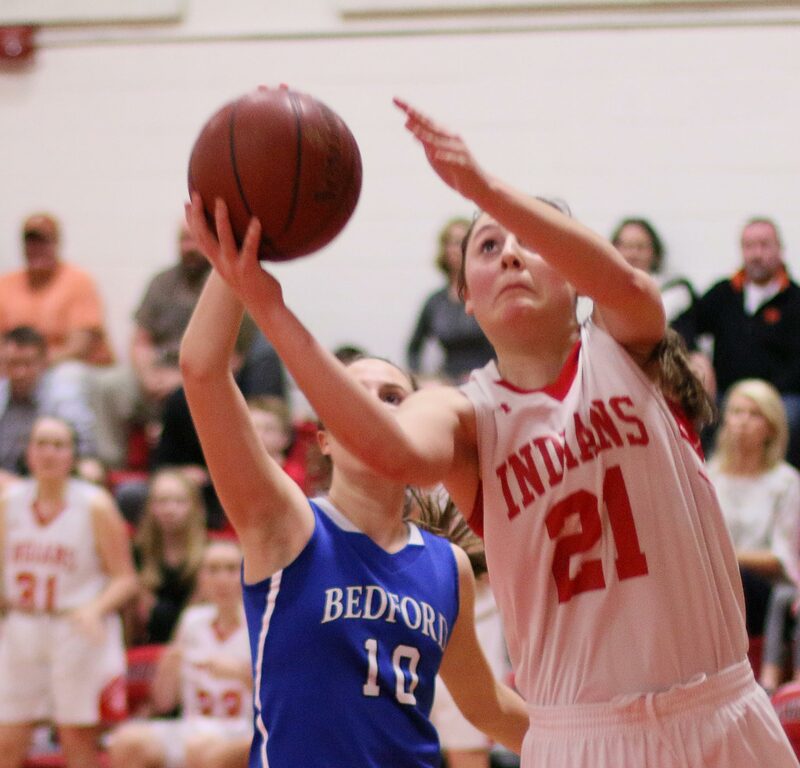 The Indians (13-8) used a 3-2 zone to protect the perimeter but this gave the Bedford drivers openings and they weren’t shy about taking advantage. 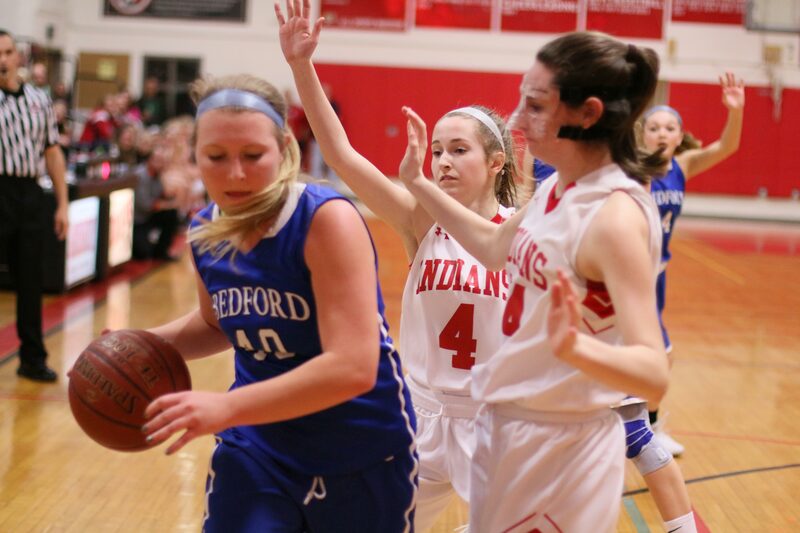 Fifteen Bedford baskets were in the layup area. 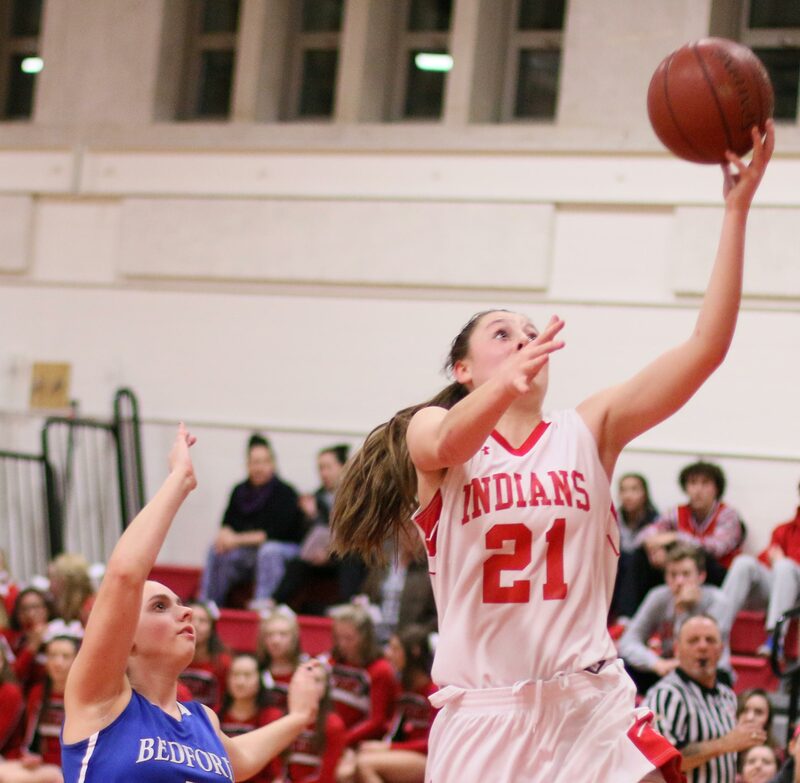 The Bucs defeated Whittier in the first round with eleven 3-pointers, hence the Amesbury’s 3-2 zone. 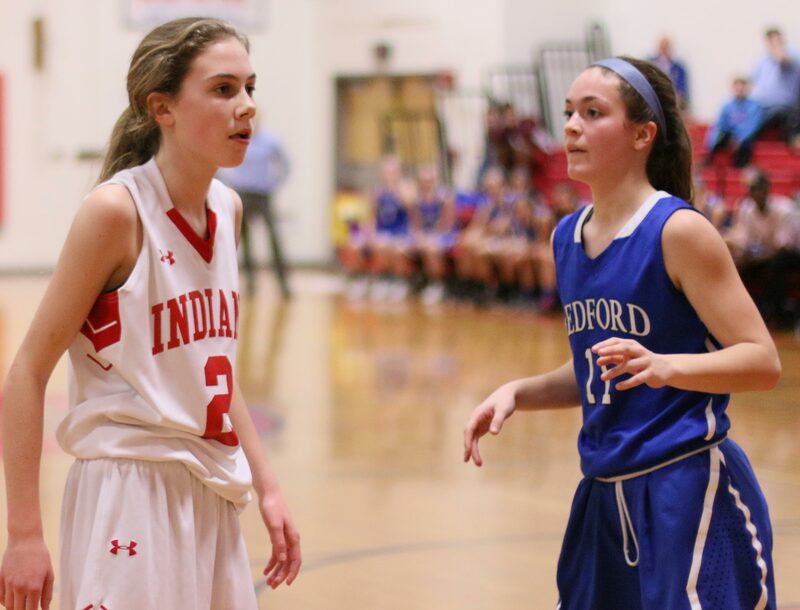 Bedford had only three long ones versus Amesbury but one of them, by Jenn Rennich, came in the final three minutes. The Bucs were also good at the free-throw line hitting 17-for-23. 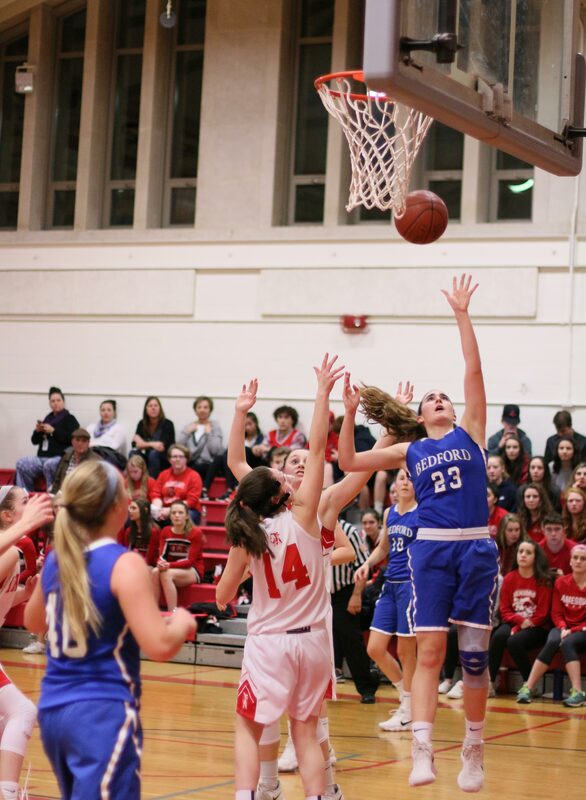 None bigger than two straight by Annie Cowen with fifteen seconds left. 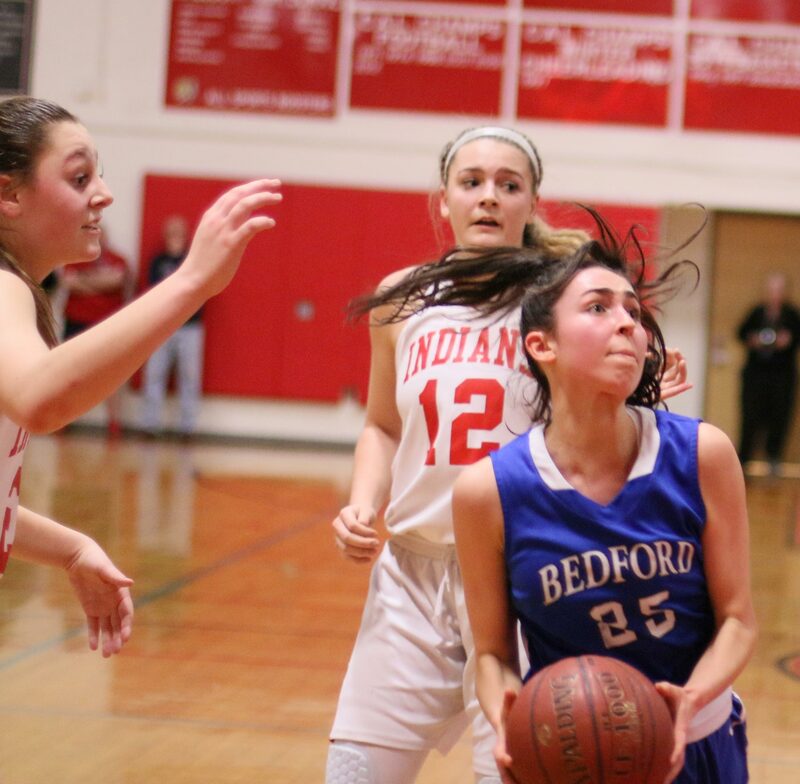 Joelle DeLia’s layup (1:53) brought Bedford within one, 57-56. 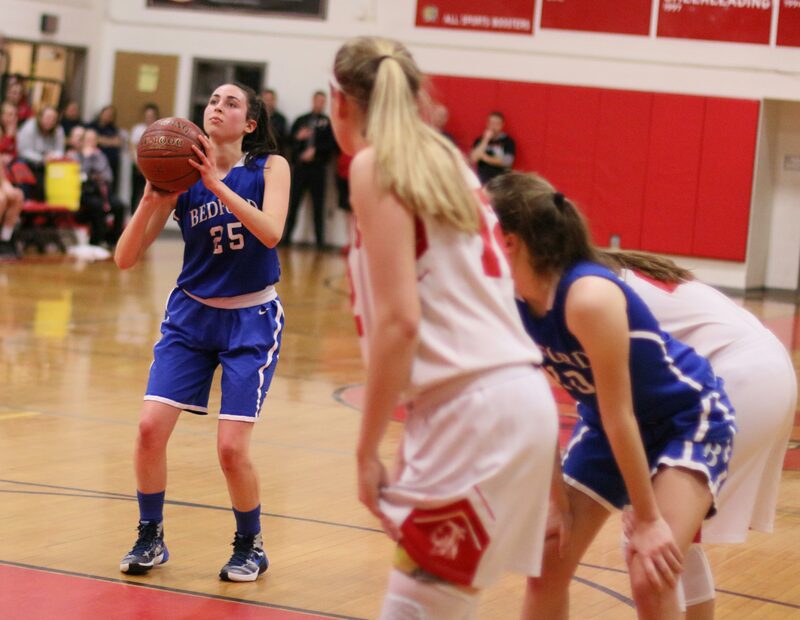 Next possession Jenn Rennich drilled a three from in front of the Bedford bench to give the Bucs the lead, 59-57, with 1:25 to go. 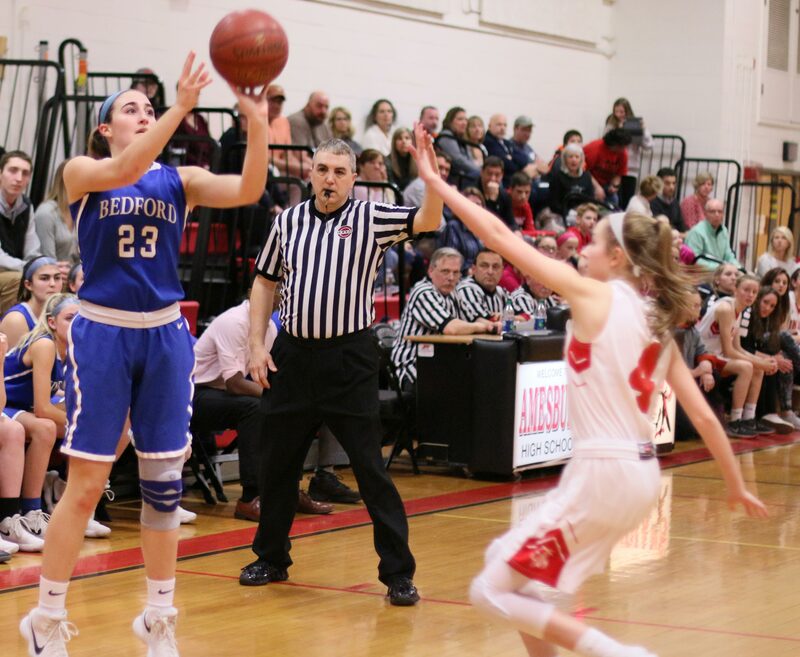 Ali Napoli went to the line with thirty-three seconds left with a chance to tie the game but made only the second shot. 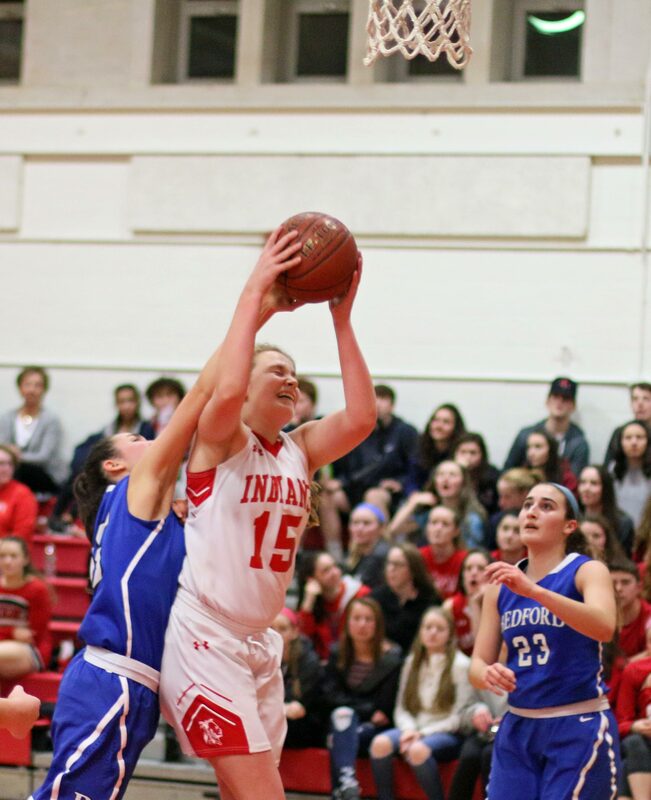 The Bucs guarded that slim one-point lead (59-58) until Annie Cowen was fouled with fifteen seconds remaining. 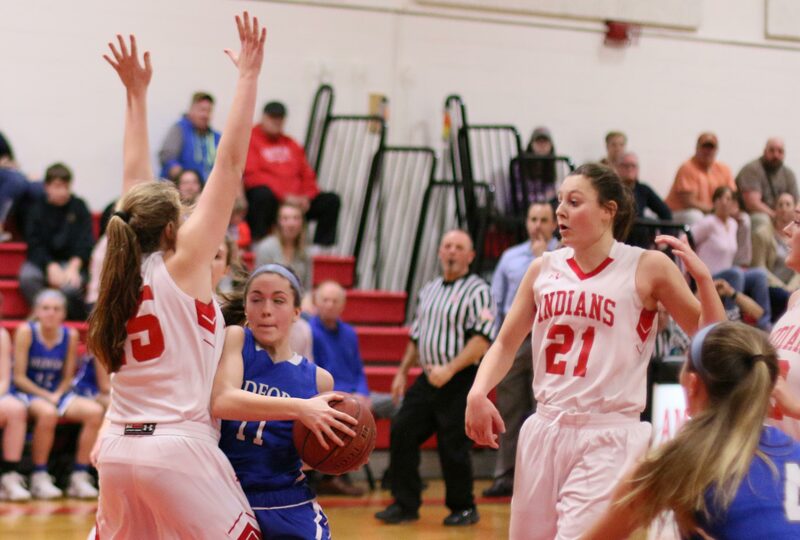 With the Amesbury student section yelling in her left ear, Annie made both shots. The Indians needed a made three to tie but on this frantic evening it didn’t happen. 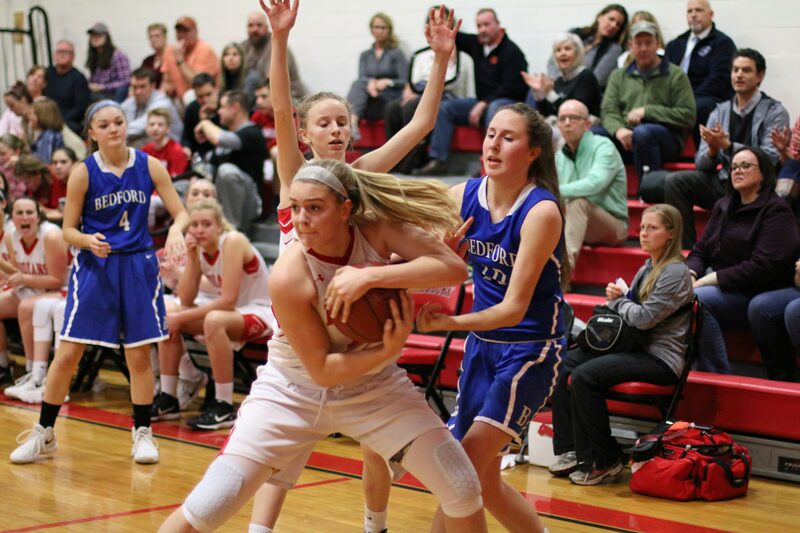 Both teams extended pressure full-court the whole game and every rebounder was liable to get double-teamed. Ali Napoli (26 points) had another remarkable performance. 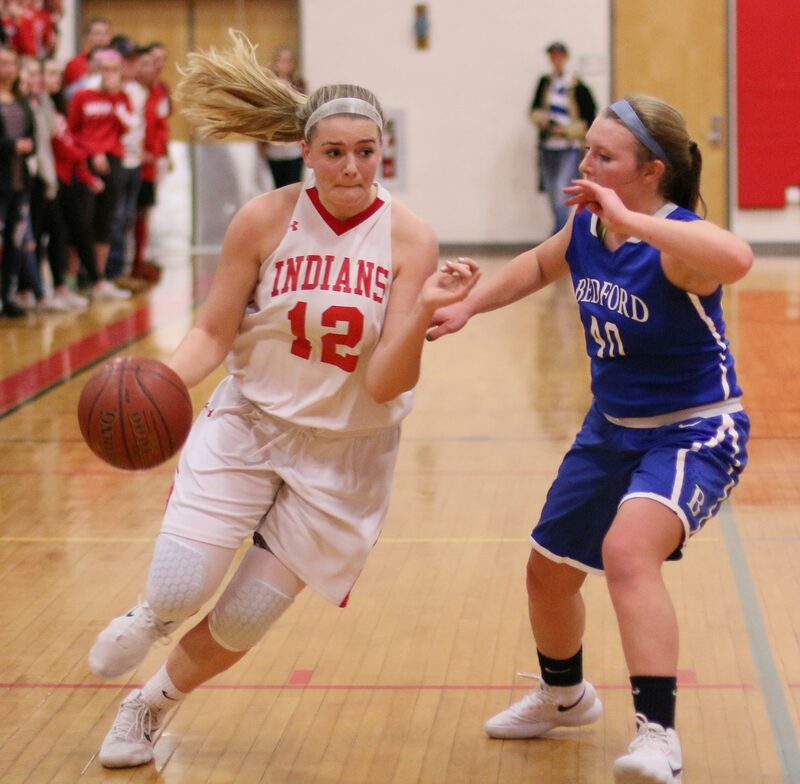 Because of the Indians youth and inexperience, Ali was expected to be the primary ball-handler, top rebounder, and leading scorer. The upgrade in my eyes of her game in this game was her ability to get the ball to open teammates. I had her for seven assists. 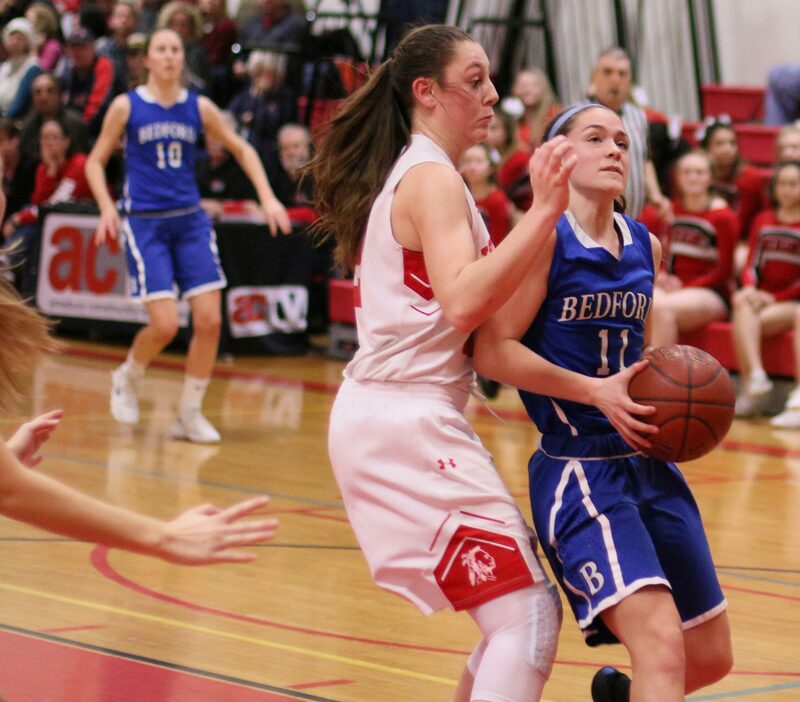 Bedford had four players in double figures; Joelle Delia (18), Annie Cowen (15), Lauren Legere (13), and Cate Marcus (10). Joelle had four successful driving layups in her 10-point final quarter. 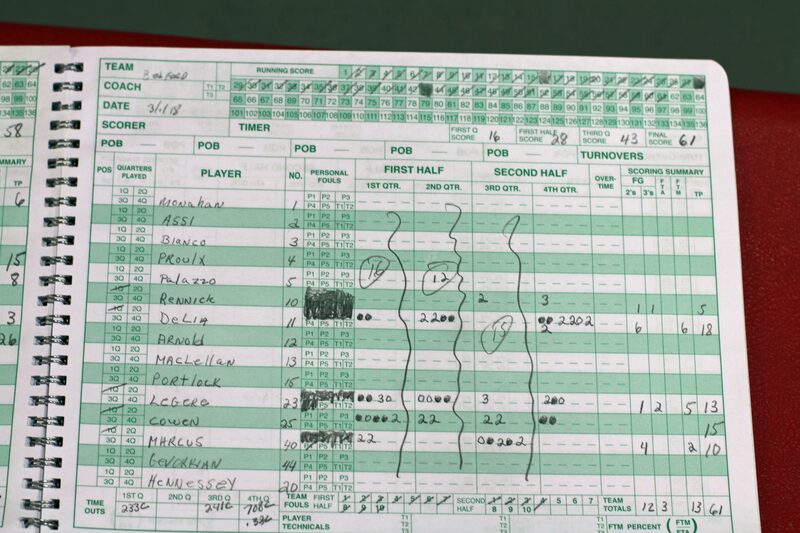 Flannery O’Connor tallied fifteen for Amesbury. 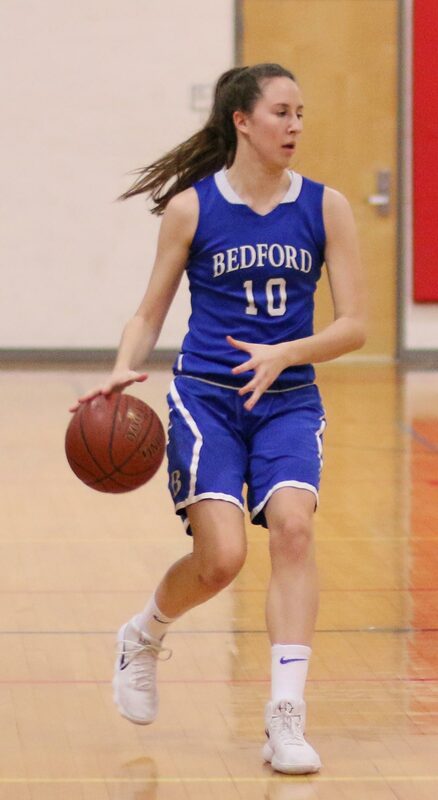 Bedford was 5-15 last season. 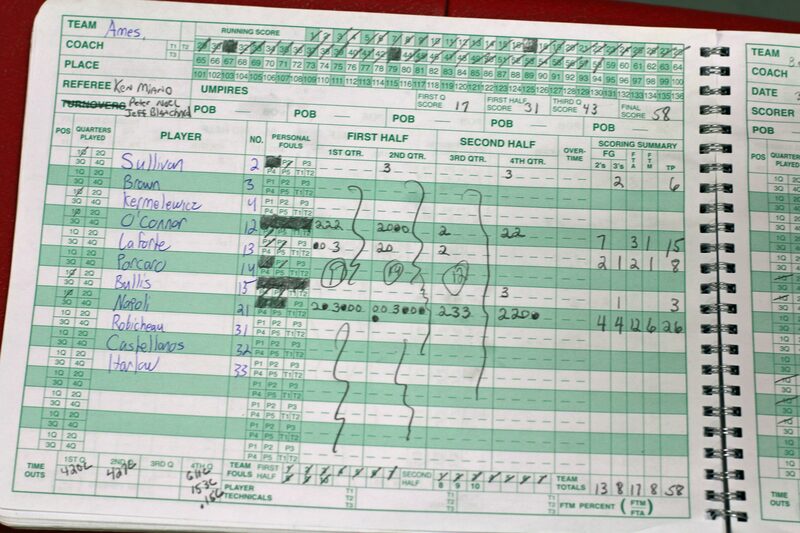 Amesbury made 8-of-17 free throws. There were ten lead changes including five in the final quarter. 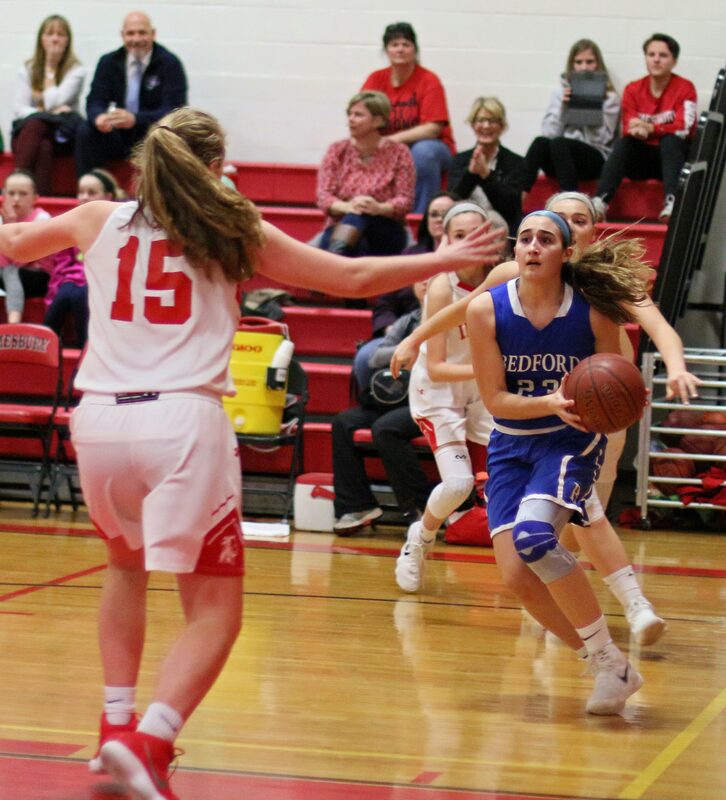 The Buccaneers had a seven-point lead in the first quarter (11-4) before Ali Napoli and Catherine LaForte (three with 4 seconds left) drove AHS ahead 17-16 to end that quarter.